Your travel profile holds all your personal and travel related information such as your personal details, contact information, passport and visa document, frequent flyer number and much more. The information in your travel profile is used to help you and your CWT counsellor book your trip. Whether it's your preferred seat or hotel preferences, having them on your travel profile helps you move through the booking stages with ease. Always keep your profile information up to date. 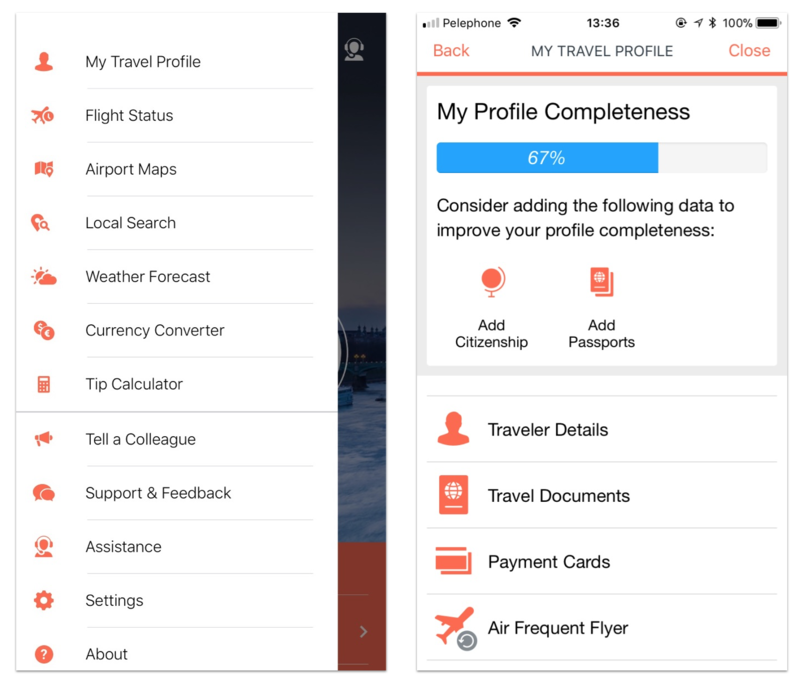 You can manage your personal traveler profile from the myCWT website or app. On the myCWT website, click the 'My Travel Profile' on the main menu. 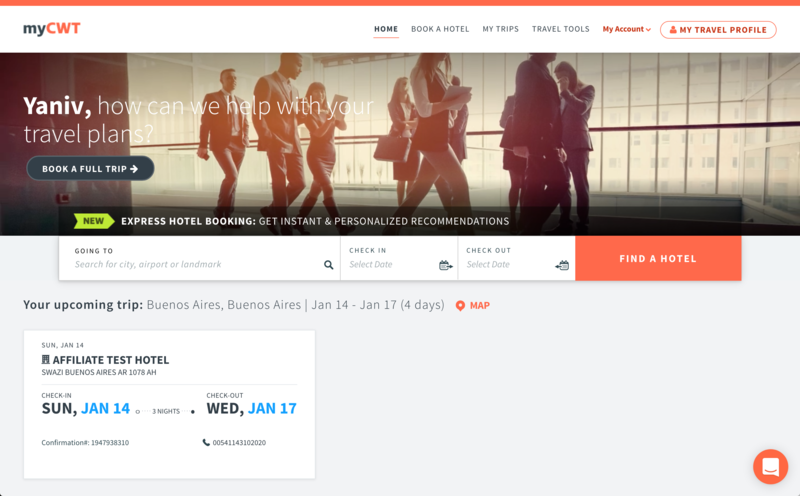 This will open a new tab with your travel profile where you can add new information or edit existing information. If your company is using CWT Portrait as travel profile system, you can update most important information there. In this section add your name (as on the travel document), Birth Date and Travel Documents like Passport or National ID. Scroll down and expand each section to add required information, submit when completed. Here you can add your Arranger and (if your company has it in policy), Authorizer. In this section you can add your Credit Card information. If you want your CC to be used for specific types of travel, select the preferences for Air, Car, Hotel or Rail. This section also contains information on your company Reporting fields. These section allows you to add your Frequent traveler cards, Discount cards as well as set preferences for your trip. To access your travel profile on the mobile app, open the main menu and tap 'My Travel Profile'.